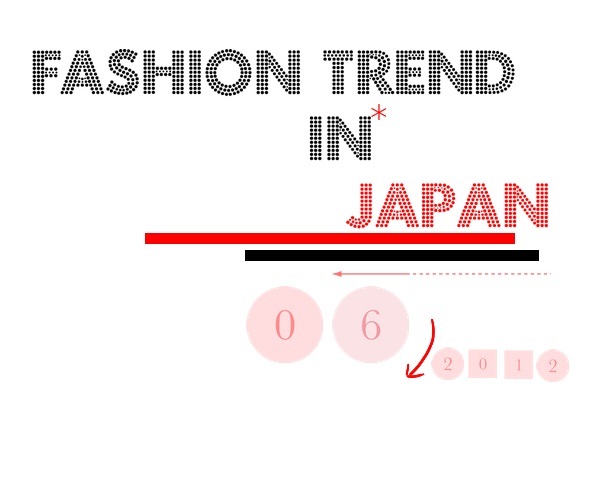 Check it out on what's fashion trends are heating on Japan streets now! * we will always not forget about floral prints in Summer! * stripes tee always the coolest piece which you definitely love it in Summer! * tee is always trendy. 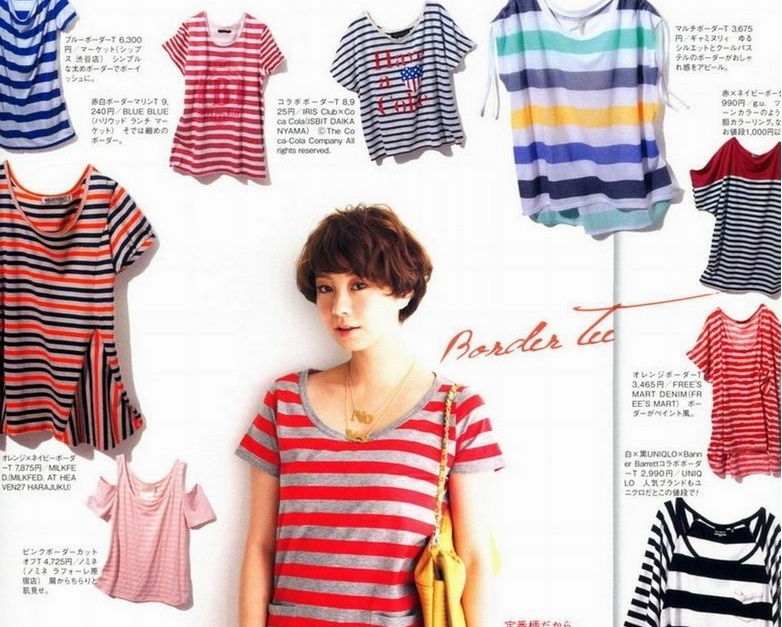 * but, short tee is more and more cool to wear for a layering style! 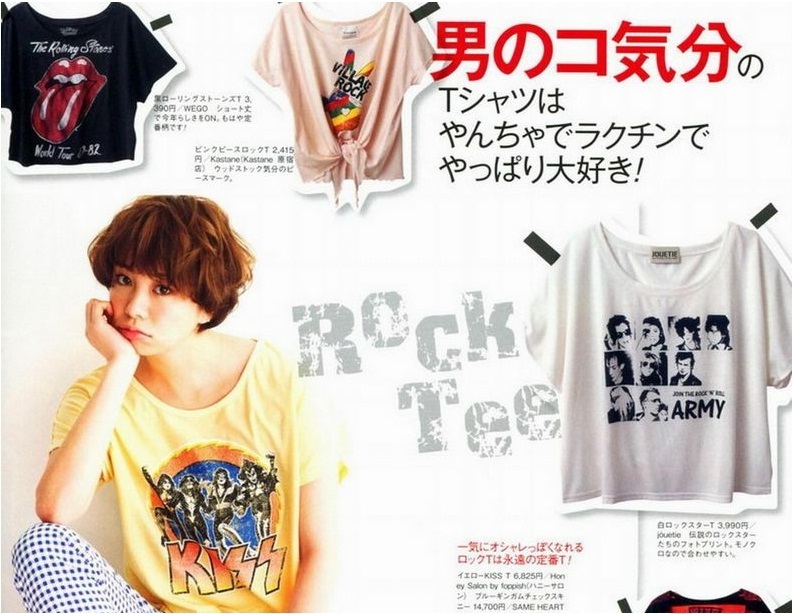 trust me, choose a rock tee and match with your denim!! * Japanese girls are screaming out loud with the most sweetest pastel colour! * a piece with two ways! * wear your dress up, and match it with a blazer, long dress, stripes tee, tights or a tank! wear it all the ways which you could say out! * where you are be, where you could see the flag patterns! * choose a piece you like and wear it now! 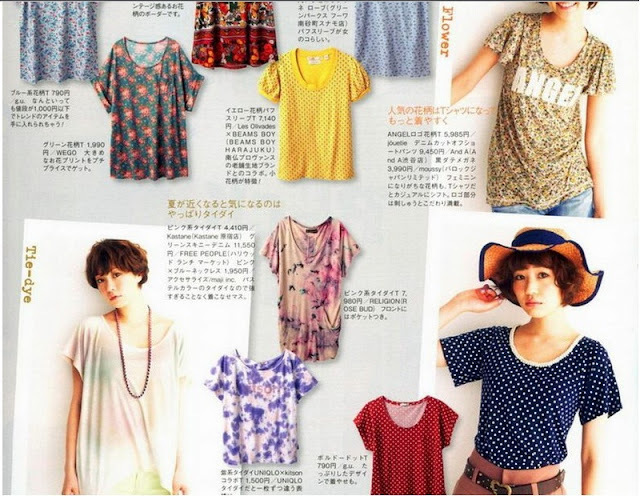 * floral prints is not only about tee, but denim too! * choose it for your bottom, and match a rock tee for your top!! 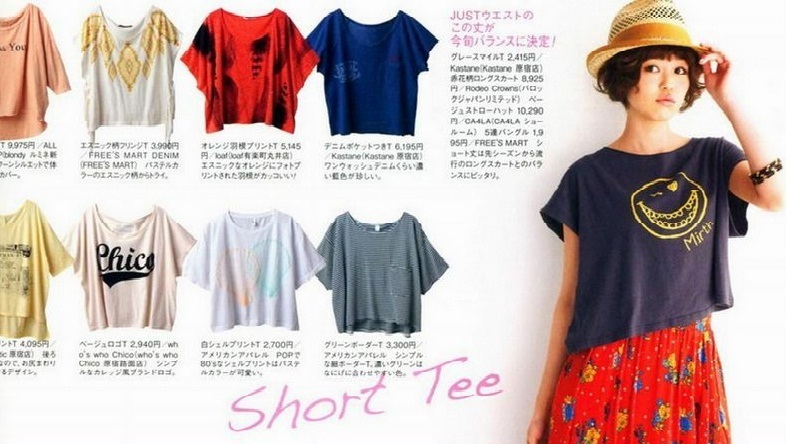 * wear the tee is not enough to show how you are lovin' Summer! then a cap would be a perfect accessories to level up your hot style in this Summer! * match it in layering with different colour! 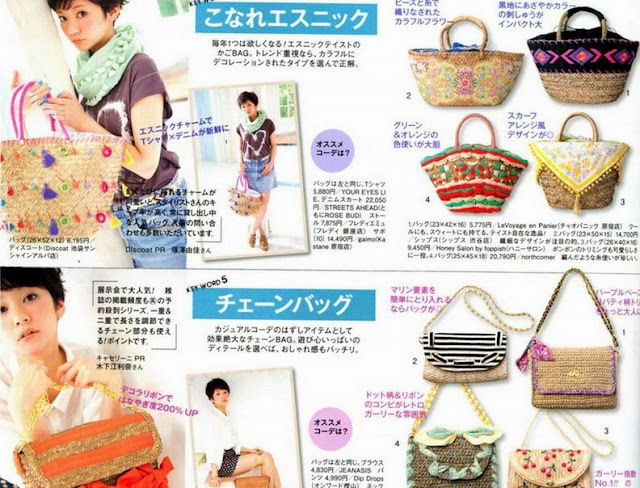 * choose a straw bag with colourful trims, to bring out a very summer look! 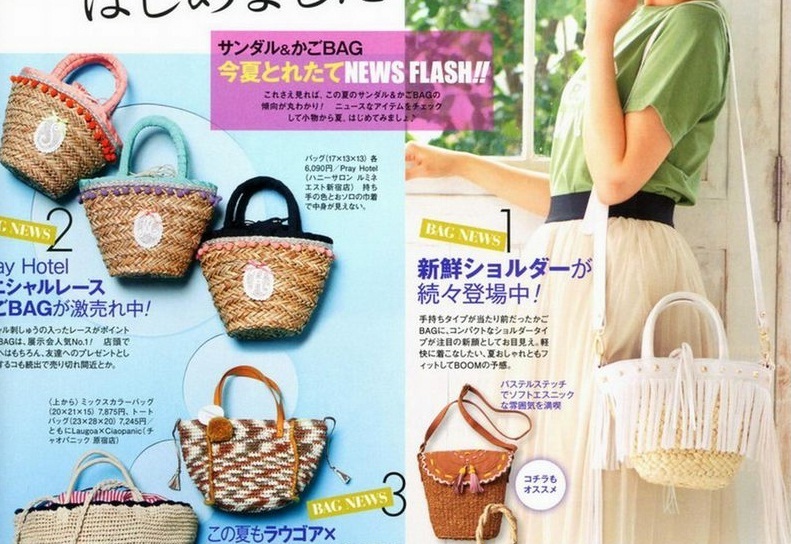 * and don't forget to bring a colourful clutch inside with your straw bag! * transparent socks with patterns on it! * just looks like tattoo on your leg, cool to try! * match it with a pair of socks, totally bring out the beauty of layering! 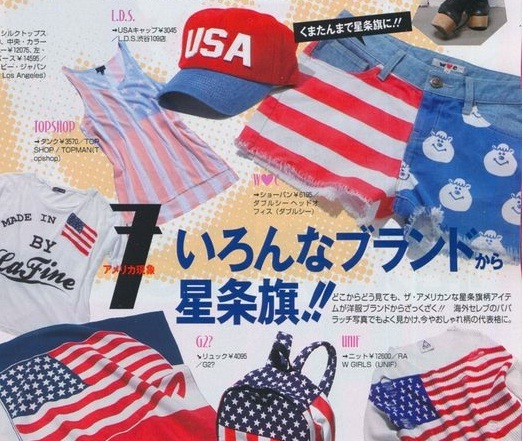 hope you all are enjoy the fashion trend in Japan on this month!